Japan, early twentieth century. 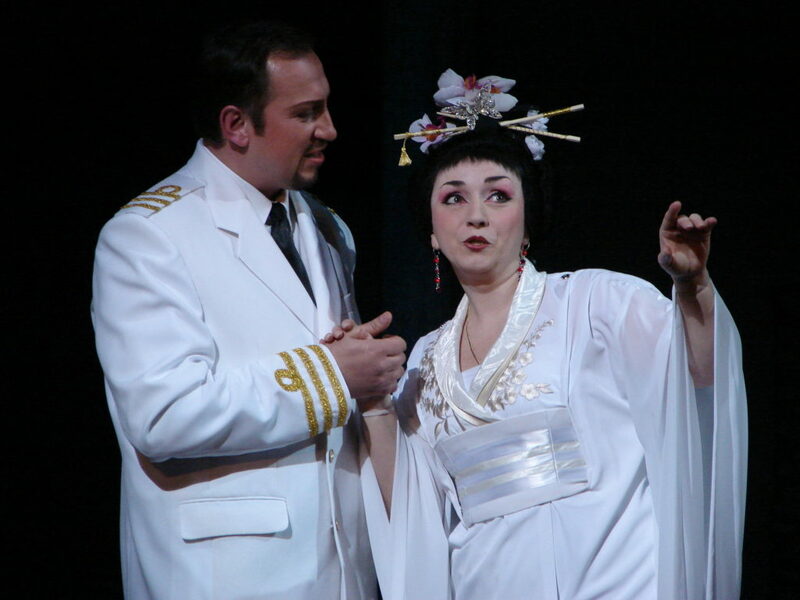 On a terrace full of flowers, above Nagasaki harbor, U.S. Navy Lieutenant B. F. Pinkerton is marrying geisha Cio-Cio-San that means “butterfly”. 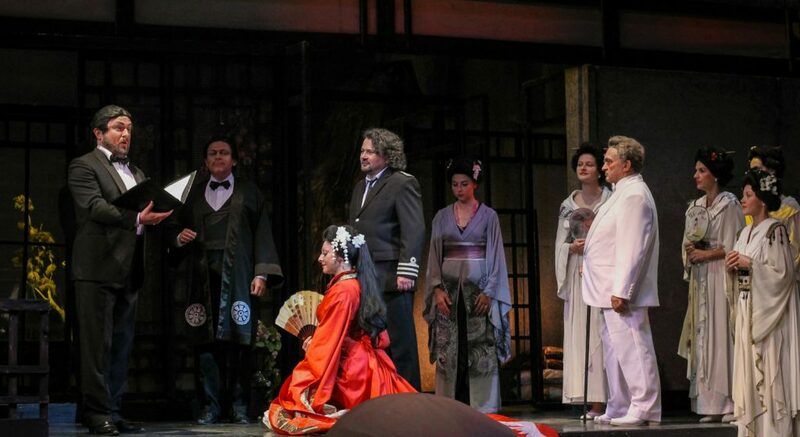 American consul, Sharpless advises Pinkerton to think about geisha’s future. Having fallen in love with Pinkerton, Cio-Cio-San embraced the Christian faith and broke the relationship with her relatives. However Pinkerton is not interested in the destiny of Cio-Cio-San. He claims that he is roaming the world in the search of pleasure and proposes a toast for his “real” American wife he will marry one day. The celebration is interrupted by Cio-Cio-San’s uncle, a Buddhist priest, who bursts in, cursing the girl for having renounced her ancestors’ religion. However Cio-Cio-San is happy because her beloved Pinkerton is nearby. Three years later, Cio-Cio-San waits for her husband’s return. 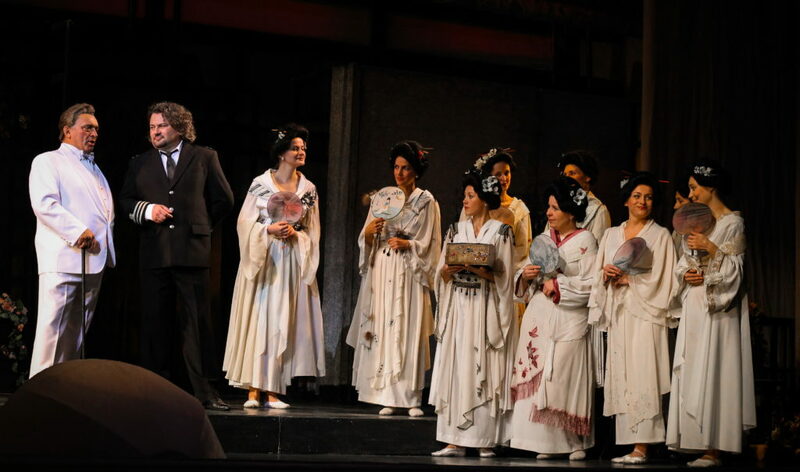 In vain Suzuki explains that foreigners do not return to their Japanese wives; in vain Sharpless tries to tell her that Pinkerton will not come back. 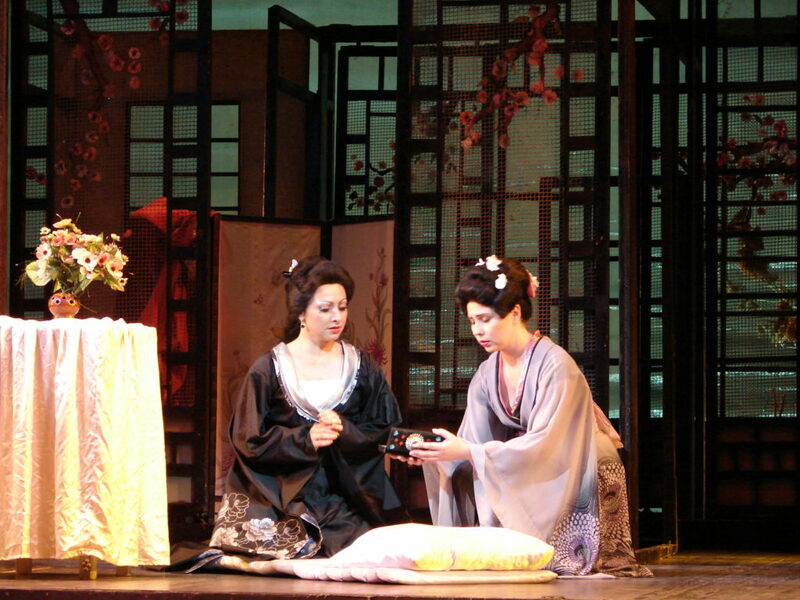 The girl dismisses the wealthy Prince Yamadori, insisting that she has American husband and her real name is Madame Pinkerton. Sharpless brings a letter from the lieutenant and suggests Pinkerton may not return. 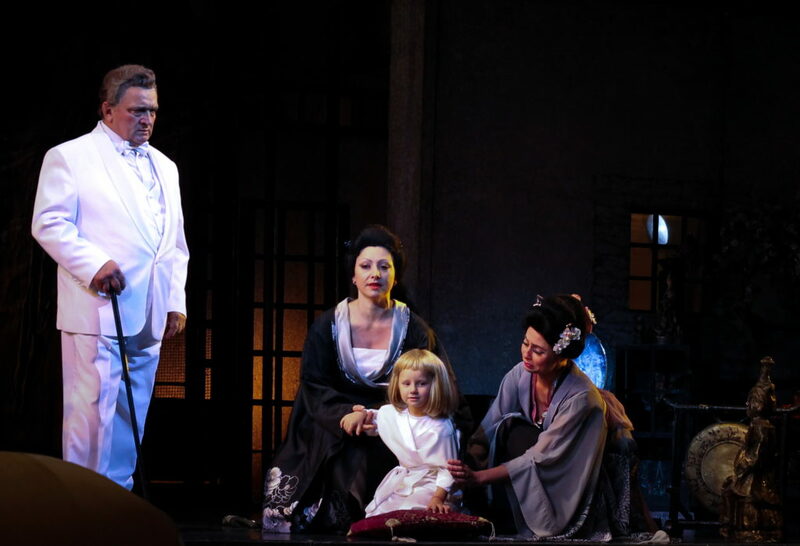 Cio-Cio-San brings her child, Dolore (Trouble) with proud, saying that as soon as Pinkerton knows he has a son he surely will come back. Cio-Cio-San hears a cannon report; she discovers Pinkerton’s ship entering the harbour. Now delirious with joy, she is preparing to meet her husband. As dawn breaks, Cio-Cio-San understands that she is waiting in vain. Sharpless enters with Pinkerton, followed by Kate, his new wife, to take his son with him. Pinkerton, full of remorse, bids an anguished farewell then rushes away. Guessing the truth, the shattered Cio-Cio-San agrees to give him her child. Then, sending Suzuki away, she takes out the dagger with which her father committed suicide, choosing to die with honour rather than live in disgrace. Saying farewell, Cio-Cio-San stabs herself. 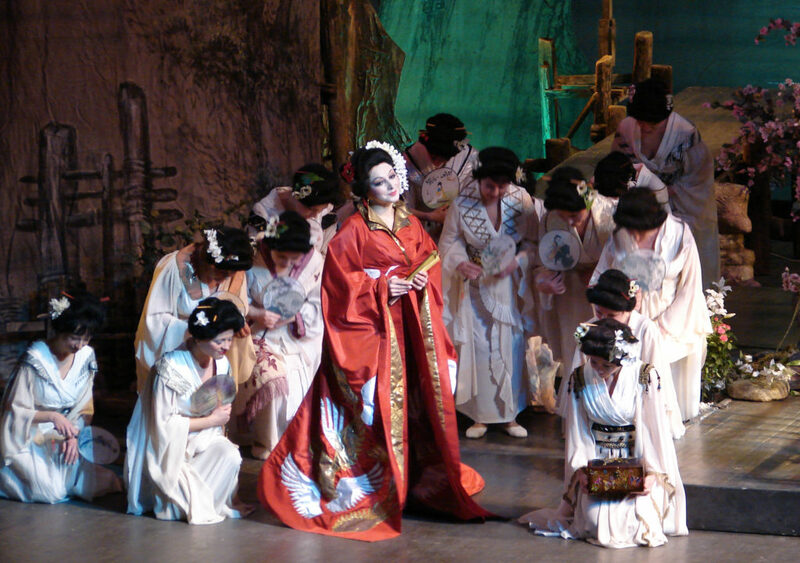 Opera “Madama Butterfly” is a lyric drama about the unrequited love of Japanese girl and American officer. 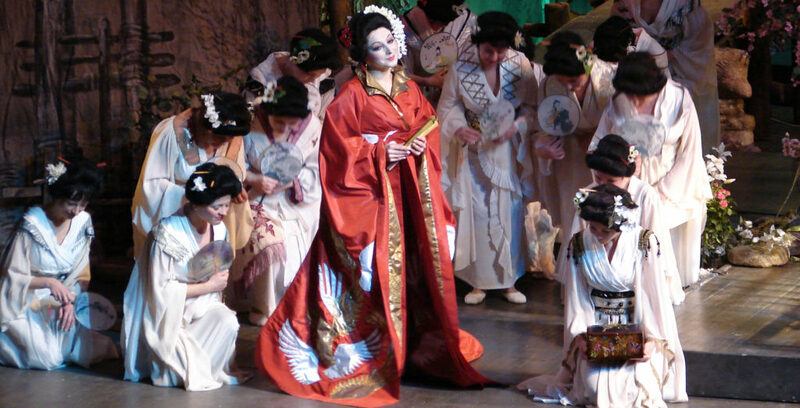 The fate of the opera “Madama Butterfly” by Giacomo Puccini is unusual. The premiere of 1904 was booed. 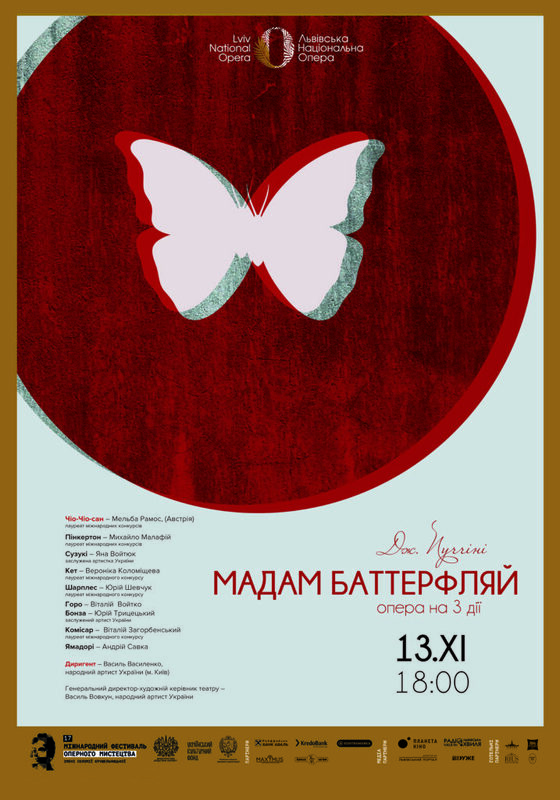 Neither the musicians, who took part in the production, nor the composer doubt its success. However the audience was dissatisfied. 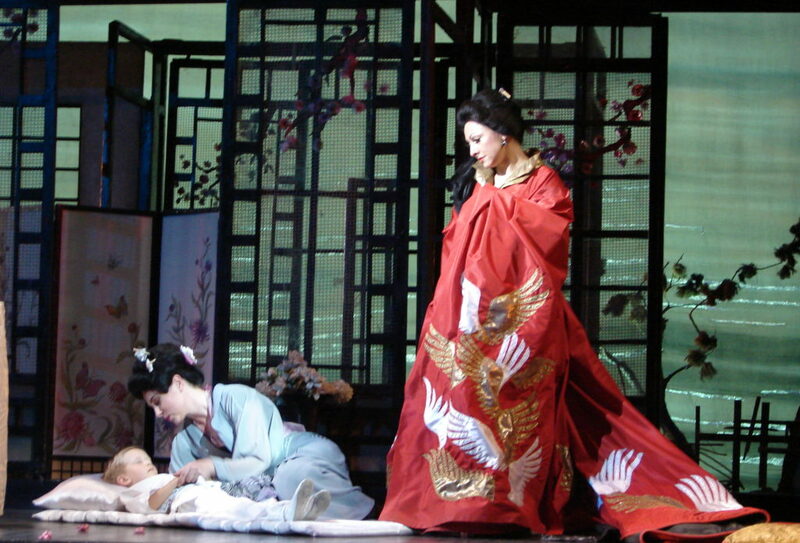 Later the score was modified and the opera had a phenomenal success with Solomia Krushelnytska, now the patroness of our theatre, in the title role of Chio-Chio-san. 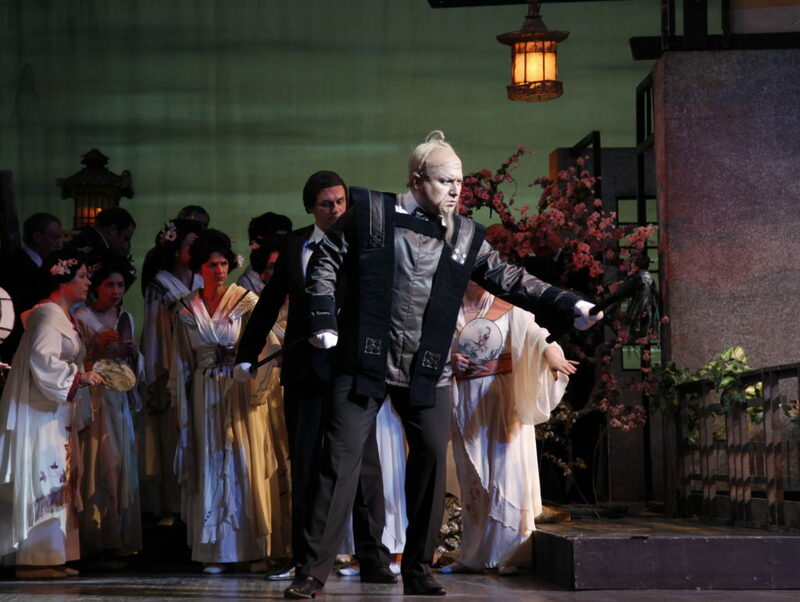 Since then opera has been attracting us with its beauty, touching plot and brilliant music of Puccini.